A lot of impressive items were shown off out at the Consumer Electronics Show in Las Vegas, but only so much would be useful for your small business needs. 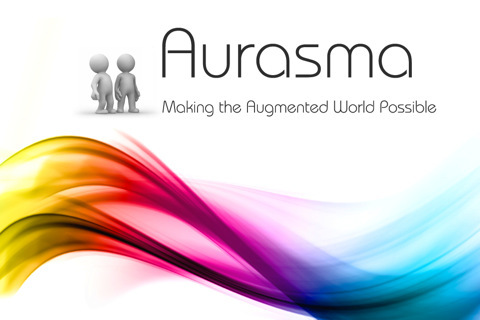 The “Aurasma augmented reality system” is one of these things will put some spark in your small business, both internally and externally. It may not be cloud-based telephony, but it’s still going to augment your business’ reality with some well-placed information. 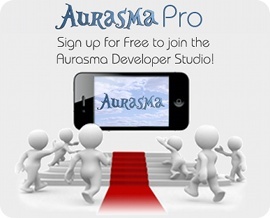 First, some background: Aurasma’s brand of augmented reality is a little unusual, as while they’re offering up augmented reality in pretty much the standard way you’d expect–level your iPhone 4S, iPad 2, or similar upper tier Android device at a person, place or thing, trigger Aurasma’s augmented reality app, and get some extra data connected to the item in question. For instance, the demonstration out at the CES event showed a child’s book get some dinosaurs roaring and stomping around on top of it. But that’s only the beginning, as the app takes not just standard metadata to insert into the proceedings, but also user-based metadata to build out its listings. What does that mean? Basically, users can build their own content by mapping it to an image in a location that the user takes a picture of. And then, it can all be shared via social networking systems for other users to play on their own systems. And this in turn means that, basically, users can create an augmented reality profile of your business and put it up for other people to see. If you’re already smelling opportunity, congratulations. You’ve already got an idea of what I’m going to say next. There are opportunities here from both ends of the spectrum. Not only can you use the augmented reality profiles–called auras–to make determinations about other businesses, you can also shape people’s opinions about your own business by providing the best experience you can to users who will then bring it back to others by way of the aura system. You may be able to use the information about other businesses to learn how best to sell to them, or conversely, you can use that same information against other businesses to learn how to compete with them. After all, if you’ve got plenty of auras that say someone likes the salad bar at one restaurant, you know to pay attention to your own salad bar, or whatever, as the case may be. And it’s a great opportunity to augment your own customer service skills with some contact backup like a toll-free number or a fax receipt service. The app is free right now, and if you have a small business, you may want to get in on this yourself so that you’re ready to play in a new augmented reality arena. No matter what side of the equation you’re on, there are likely plenty of opportunities on hand here for anyone ready to take advantage of them.